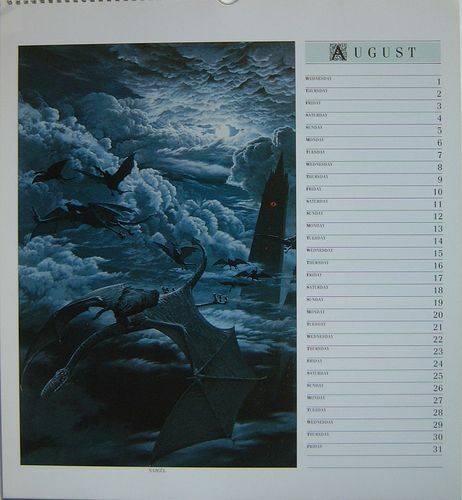 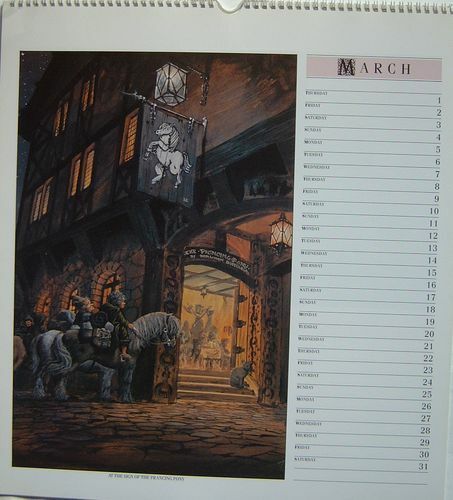 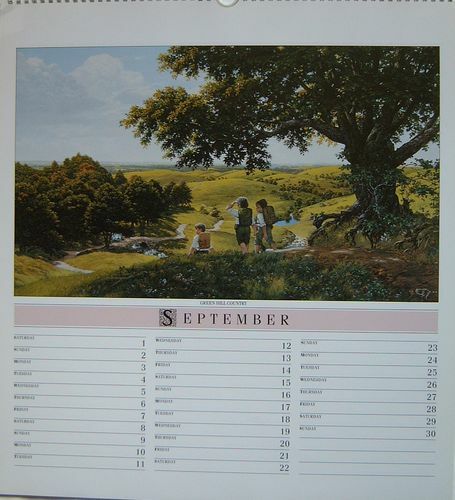 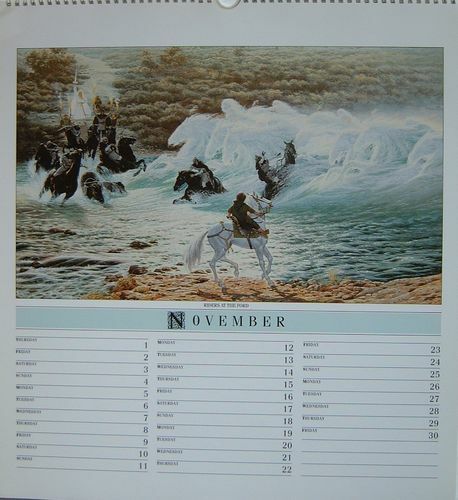 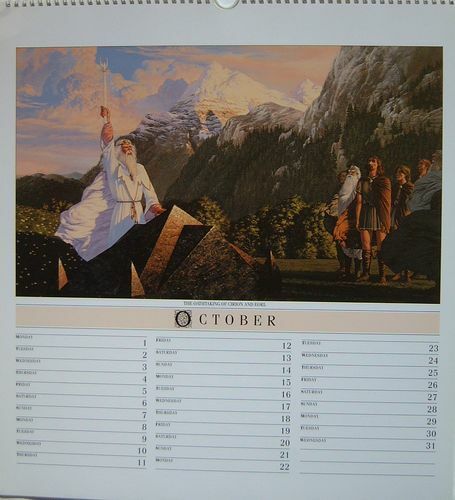 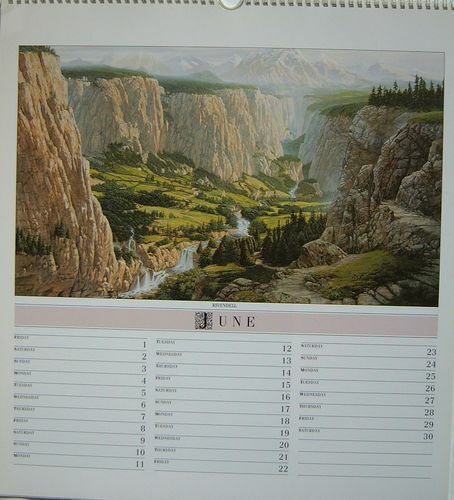 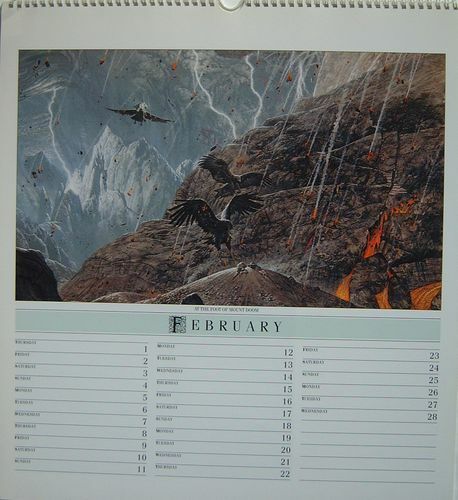 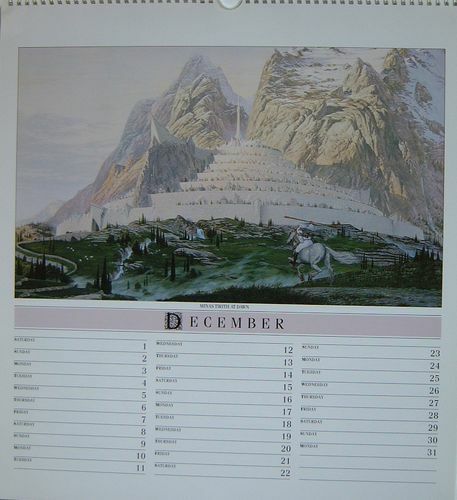 "The Tolkien Calendar 1990" Love this calendar. 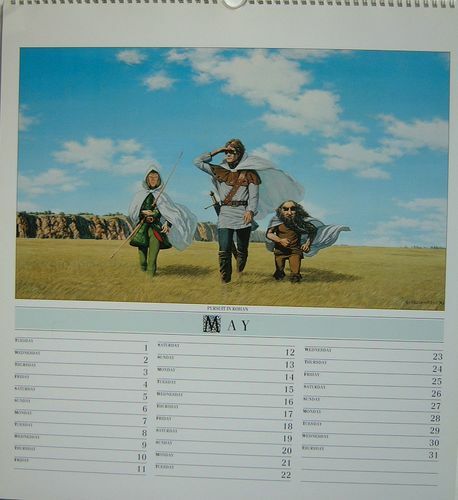 Perhaps because several of the illustrations were published as limited edition, signed/numbered giclée prints and they hang in my home and at work. 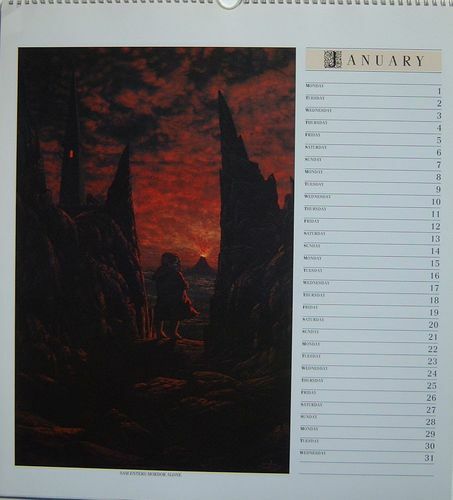 But mostly, I feel that these capture the way Middle-earth looks in my mind's eye. 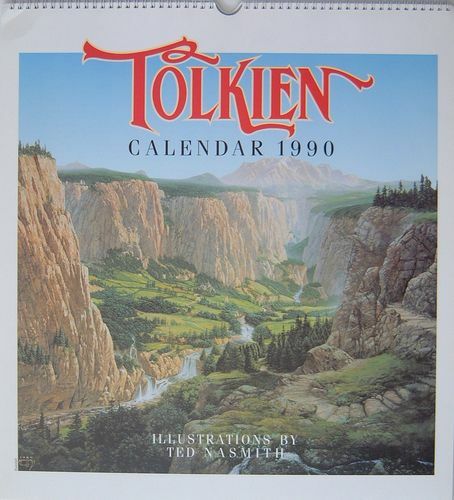 Especially, Rivendell, Minas Tirith at Dawn, and Green Hill Country. 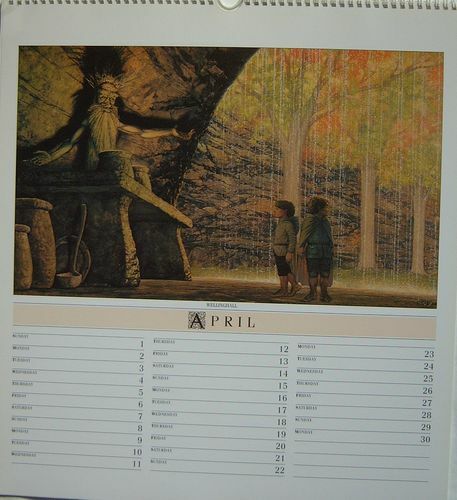 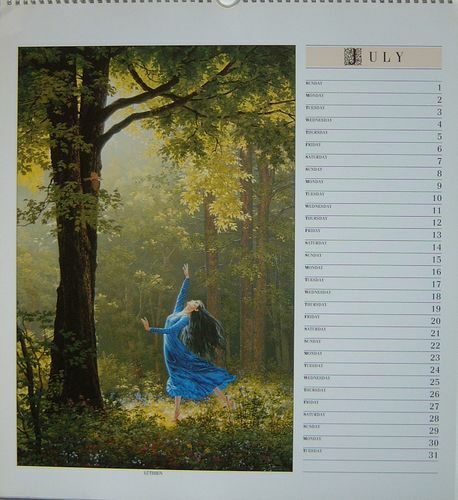 But I like any calendar with an Ent illustration in it!